Nothing gets me excited like a film that has truly split opinions. 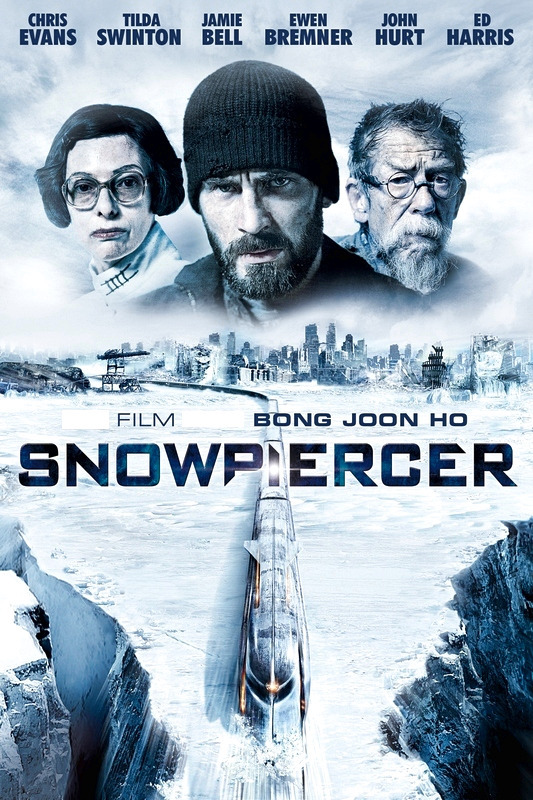 So by the time I finally got around to watching Snowpiercer (2013) a couple of weeks ago, my expectations were pretty high. I don’t particularly fit into the love or hate camps for this film, but that is not to say that the experience was a letdown. The film is set in a frigid near-future, where attempts to reverse the effect of global warming have backfired spectacularly. Only a very small amount of people survive, circling the earth perpetually on a train known as the “rattling ark” (a name I love as a piece of imagery, but which is never really utilised as it could be). The class system sees the poorer people contained at the back of the train, with the hedonistic rich folk up front. The rebellious underclass decides to fight back, which involves battling their way to the front of the train to take control. From this initial set-up, there is a charmingly natural video game level style progression along the train. For me, the best moments of the film were the action beats. They utilise the train setting best, as it is in those moments that you really feel the claustrophobic surrounds of the train pressing in on the combatants. The action also gives us the most riotously enjoyable silly moments of the film, such as the set-piece involving a night-vision massacre in a tunnel. 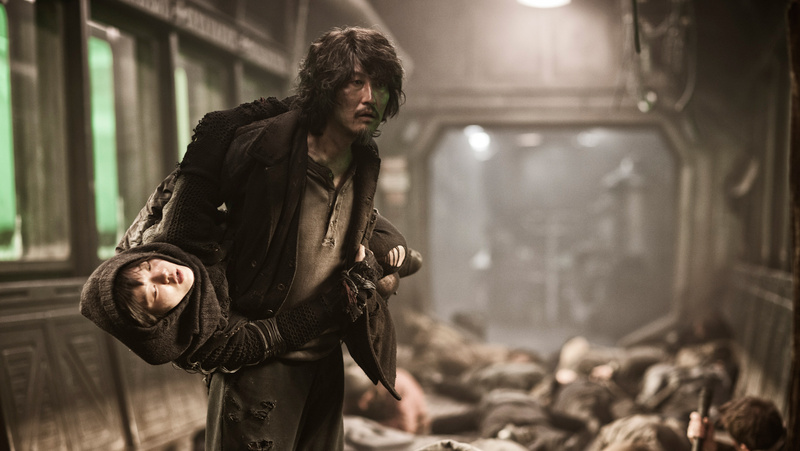 Snowpiercer is best when it keeps it simple early, focusing on the journey to the front of the train, rather than as the action reaches the front of the train, where things get a little silly and focused on clumsy attempts at showing the hedonism of the rich. 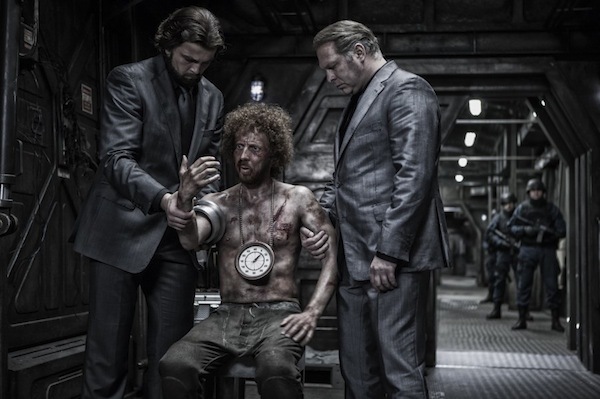 There is more than a hint of old school sci-fi to Snowpiercer. It opens with images of chemtrails, and the music over the image definitely invokes an 80s Cold War paranoia vibe. Much of the film seems like an affectionate nod to that era of the genre. The presentation of the film, its high-concept construction and especially the class concerns that are so prevalent in much of classical sci-fi. There is little subtlety to how these class themes are drawn. But for the most part they work well, hitting there mark a lot more than the ham-fisted barbs thrown the way of organised religion which just seem a far too simplistic, superficial and tacked on to be at all satisfying. Related beermovie.net articles for you to check out: Locke and Rick and Morty Season 1. Nice review, Tim. Tilda Swinton was awesome. I didn’t mind her over-the-top performance. Had me thinking of the woman in the TV in ’12 Monkeys’. Like you suggested, this film had me thinking of a lot of movies. The bug bar for food was cool. I liked the gritty to the grand production sets and the end sequence took my breath away. There was something centrally missing to nail the picture as an instant classic. Perhaps as you suggested, it was best when it kept it simple and remained from A to Z type of film. Yeah she is pretty great. I loved plenty of this. But for me, wasn’t as big a fan of the ending. Think it just wanted to be more than a fun simple B movie, but wasn’t as enjoyable as a result. “Nothing gets me excited like a film that has truly split opinions.” Are you suuuuuuuuuuuuuuuuuuuuuuuuuuuuuuuuuuuuuuure? You know I can’t talk about those photos you sent me in such a public forum. Yeah mate, the very end was pretty rough. Almost like the writer was not sure how to finish it all off. But there were some great set-pieces throughout.